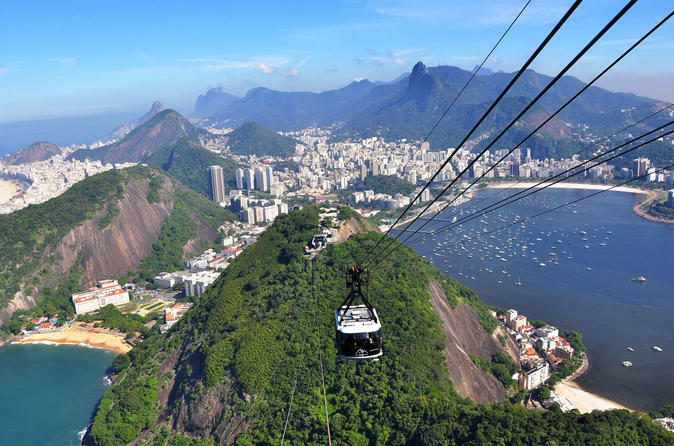 The Sugarloaf Mountain (Pão de Açúcar) is a major landmark in Rio de Janeiro, dramatically rising 396 metres at the mouth of Guanabara Bay. 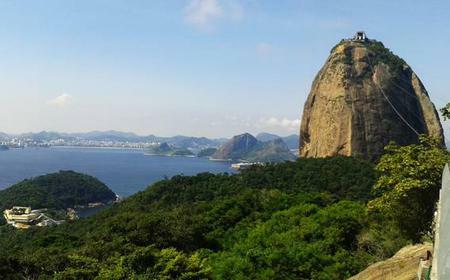 The Sugarloaf Mountain (Pão de Açúcar) is a major landmark in Rio de Janeiro, dramatically rising 396 metres at the mouth of Guanabara Bay. 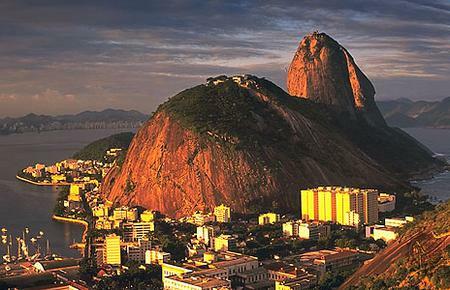 It gets its name from its shape, which resembles the rounded, conical blocks in which refined sugar was sold till the 19th century. 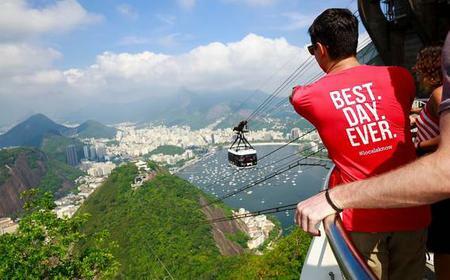 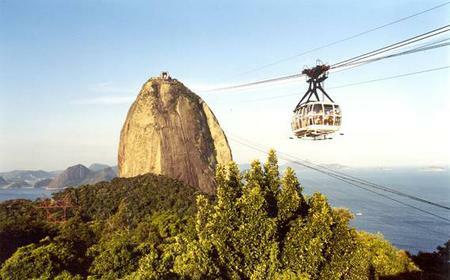 The peak offers gorgeous views of the city and harbor, and can be reached by cable-car. 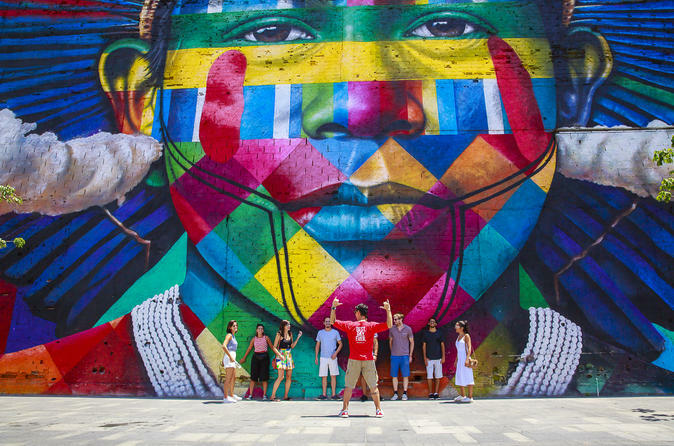 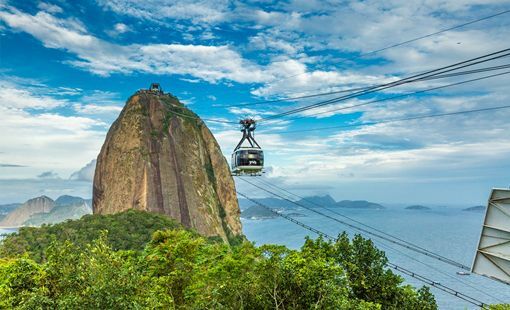 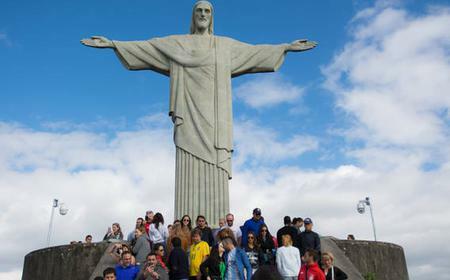 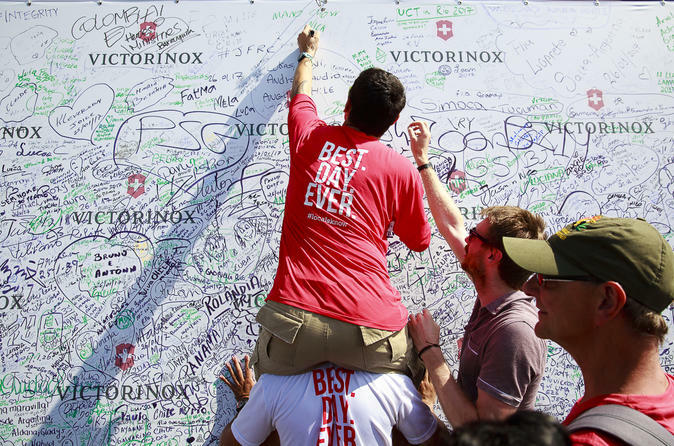 The ride has 2 parts - the first takes you from Praia Vermelha (Red Beach) to Morro da Urca (Urca Hill) at 220 metres, and the second takes you from Morro da Urca to Sugarloaf peak. 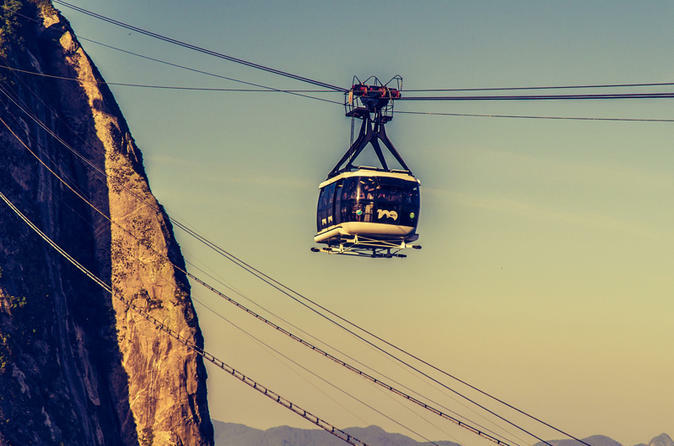 Departing every 20 minutes, the cable-cars have transparent plexiglass walls that allow for great views of the surroundings as you ascend. 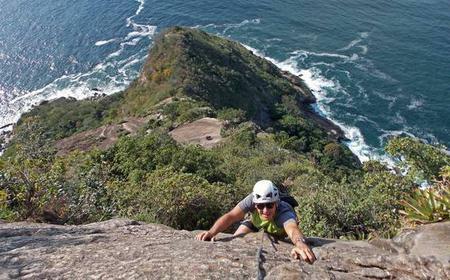 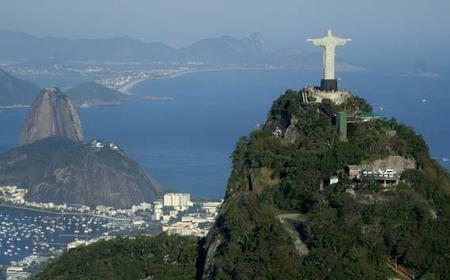 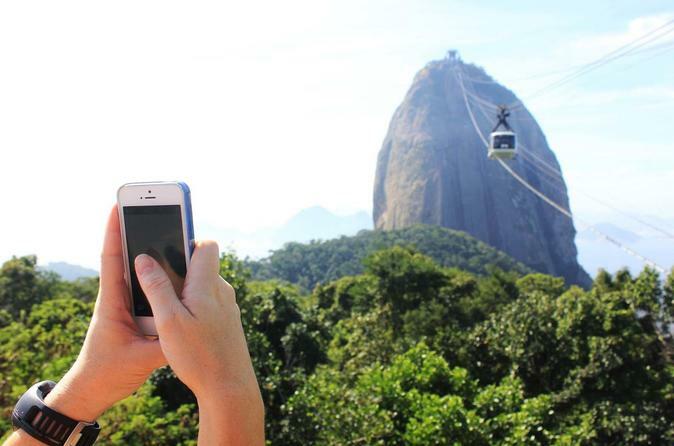 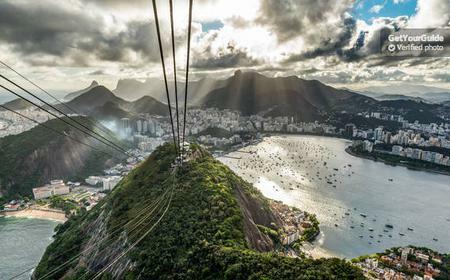 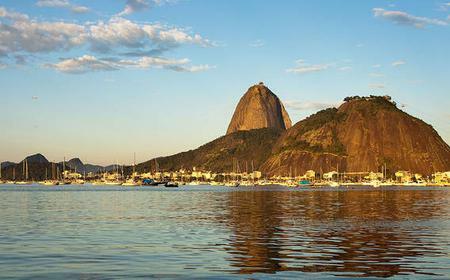 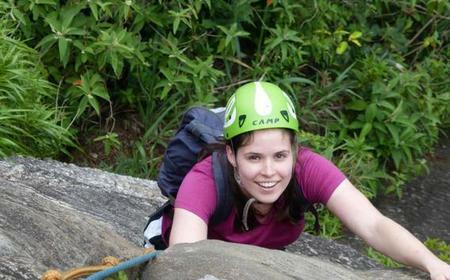 The mountain is also a popular rock climbing spot, along with the neighboring Morro da Babilonia and Morro da Urca.